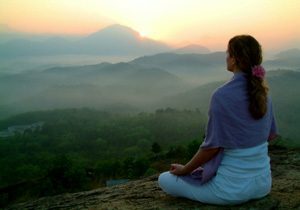 Meditation is essential in our spiritual progression. Not only it helps clearing your mind, energy, and negative thought, but also it helps you to contact with higher wisdom and higher mind of the universe. Many great artist, inventors, received divine knowledge and manifested and expressed it, then created masterpieces. It also helps you to know about yourself, which is most important question in our lives. However, many find difficult to do it, Some find themselves fall a sleep after a while. Some find impossible to eliminate thought keep coming up to their mind. and by doing this in a group, you’ll find much easier to meditate.